Includes 2012 Olympic gold medalists' Mckayla Maroney and Jordyn Wieber's personalized collections! 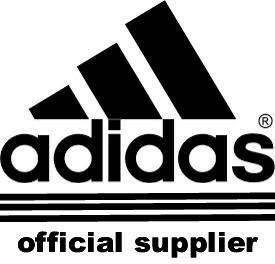 Unfortunately, Adidas has decided to no longer offer gymnastics leotards. Click here to see what we have left in stock Supply is very limited - get yours before it is too late! 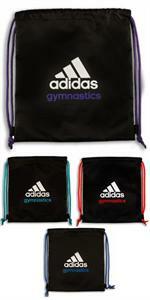 Adidas Gymnastics sturdy 15 inch X 12 inch drawstring sling bag in 4 colors. Retired style - last ones! Retired style - last ones!